We are pleased to be able to offer the following suggested sailing boat trips during your stay on the Costa del Sol. Please contact us if you are interested in booking any of these or wish to know more about them. 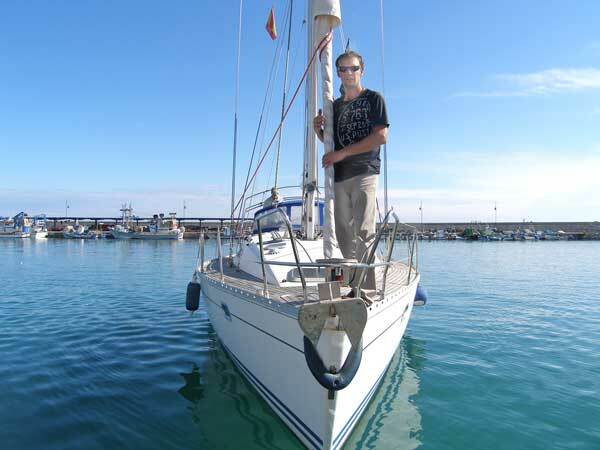 For something tranquil, how about a trip on the "Lonely Star" - a Beneteau Oceanis 39ft sailing boat We would suggest one of two different length trips. Either the day excursion (up to six passengers) or the over night trips lasting at least one night away sleeping on the boat (up to four passengers). This excursion is designed to last up to six hours. 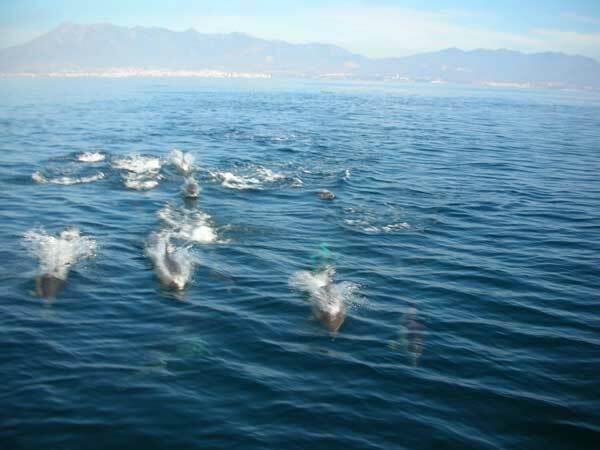 The boat sails around the Estepona Bay area and allows you to take-in the costal scenery, go in search of the dolphins who swim in and around the Straights of Gibraltar (calm waters permitting) and, if you like, you can join in by taking the helm and actually steering and sailing of the boat! During your trip, you can drop anchor, have some time to relax and sunbathe and maybe take a swim straight off the back off the boat! Snacks or Lunch (if ordered), can then be served and your drinks provided. After lunch, you can decide if you wish to do some more sailing, perhaps go on further up the coast or just stay anchored for the remainder of your time. If you wish to go anywhere or do anything in particular instead then just arrange this with the skipper and the day can be tailored to your requirements. You can set off at 10 am and sail into Gibraltar at around 2pm. You can then take the Gibraltar rock tour or the cable car tour if you like or go exploring Gibraltar and maybe do some shopping. You sleep on the boat. The next morning you can take breakfast in the harbour and then set sail back to Estepona the next morning. 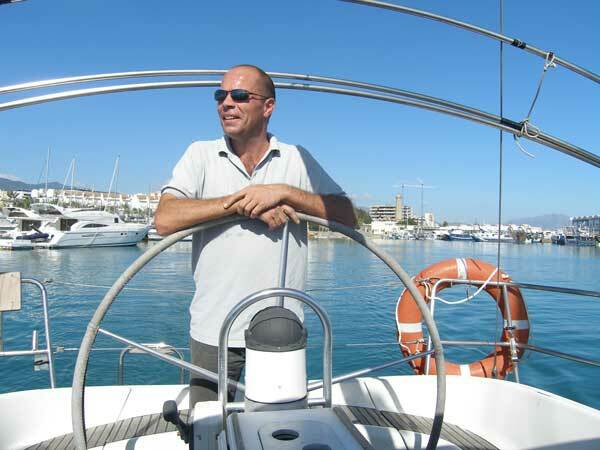 You can set sail at around 10 am and arrive in Marbella town sports marina. Here you can go exploring the old town of Marbella with its pretty streets,squares and boutique shops or maybe relax on the beaches of the Golden mile. You then sleep over night on the boat. The next morning you can go for breakfast before sailing back to Estepona. You can set off eaarly at 10am from Estepona Port and sail over to Ceuta in Morocco in about 5 or 6 hours. You can spend the afternoon exploring and then return to the boat to sleep over night. The next morning you sail back to Estepona. Price: 600 Euros for the two days (including snacks and some drinks). Breakfast and lunch can be arranged seperately to your requirements. Full insurance is included and the vessel carries all required safety certification A deposit of 30% is required and is non returnable, unless the charter is cancelled by the boat owner due to un-forseen circumstances beyond the control of the boat owner (such as bad weather conditions). If you would like to book or enquire about chartering a sailing boat, then please provide us with your details below and we will get back to you shortly.